heartbreak stroll: has anyone been? Don't give up hope on yourself, no. Just be patient about the fact that .... how things are unfolding. Because ..... you're less ... why are you afraid to start? 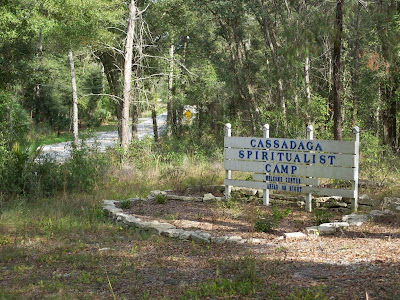 Cassadaga might be just a premonition of a place you're going to visit. what do you know about cassadaga? (i'm talking about the camp, not the album) i'm really interested. this has been something i've been thinking about for a while now.